Sooooooooo… Hi! Long time no see, Hisashiburi, whatever you’ve gotta say. First off, I really need to take the time to apologize for beibg mia for a month. I’ve been recovering from an illness lately and it’s taking libger than I needed it to. I have been in good spirits, but busy with irl stuff that has to be done, but my body had been taking a total nosedive all the while and it wasn’t easy. Haven’t been on thr computer much at all until the night before last for maybe an hour, but now that I’m better, I’m taking the time now to play catchup. Thanks everyone for being patient with me over the past month. I really appreciate it, and hope to get back up to my usual busybody speed a.s.a.p. Also, as for the ~ mystery/not mystery ~ game I mentioned having completely translated, a Youtuber announced that he/she was starting to translate the story but was stuck on reinsertion. Since I’m already done with the story, I popped the question of maybe working with me on finishing NPC dialogue to get the game out quicker. We’ll see how that goes. *crosses fingers* Anyway, that’s all from me for now. 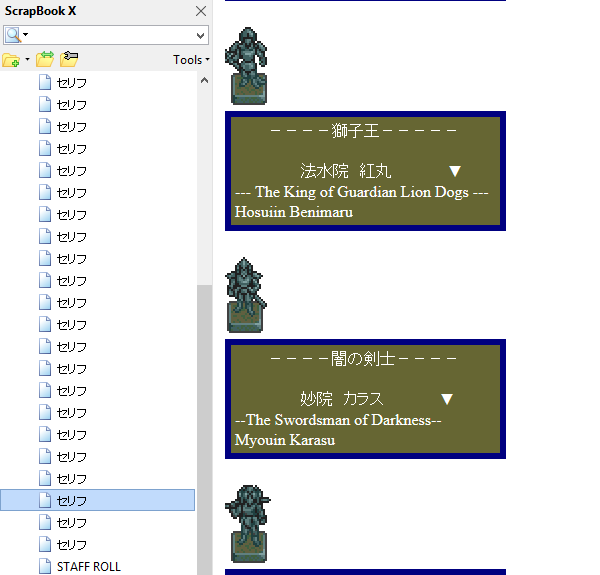 I have the battle items/command menu stuff translated for Abarenbou Princess, so I might throw those up here as well sometime in the near future. Sorry again for not updating. A screenshot of Linda, While I’m Up. Really not much of an update, but I’ve got a couple things on my plate, and this is now one of them. As far as translations are going, I’ve started a new game of Linda in Scenario A and I’m just filling in blanks as I go along. Well… That’s kinda what I’d like to do, if I wasn’t so bad at gallavanting around with such a bad handle on emulators. I actually just bought a modchipped PSX from a fellow over on /vr/, so ideally that will come in, I’ll burn a test disc and just go. I might use it to play through Mystic Ark 2, since that’s something else I’ve wanted to translate for the blog. I could also use it to revisit Robin Lloyd no Bouken, since I have about 30% of the game done anyway. 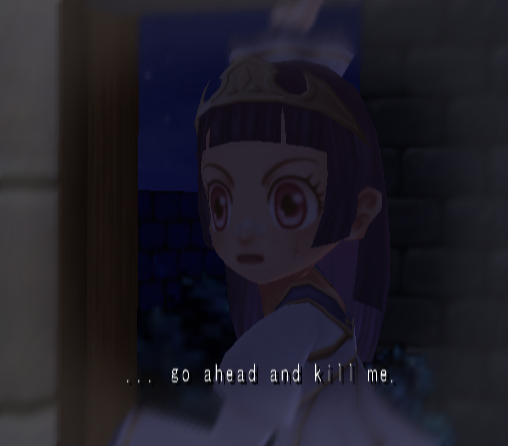 > Replay Scenarios A, B and C of Linda Cubed. Probably go through Scenario D/Time Attack. >Replay Napple Tale. Unlock all of Straynap’s Diaries and translate. The handwriting is an absolute mess, so I know I’m going to hate this, but whatever. >Other stuff. Battle menus and UI stuff for the 2 aforementioned games and the one I mentioned in my last post. >Play Love Live and blow my money on cute stuff. Life and Updates, I Guess. Hey, sorry for being completely MIA for a while. I haven’t been around to exactly speak to anyone, and I’m trying to get all of my ends met within the next couple of days. Works been long and I’m not very good at my job, but I’ll get better. An unexpected death of a friend hit me really hard just a couple weeks ago, so I’m kind of getting over that. Nothing was really bringing me to turn on the computer, so nothing exactly happened with any translating or proofreading work I had to do that was on my laptop.